With popularity of social media presence, it is very important to look beyond the default Facebook settings. Facebook is a giant social networking site and knows your thoughts, photos and expressions by tracking your day-to-day activities. Facebook has become so popular that you never know how is your photos and activities shared on Internet. 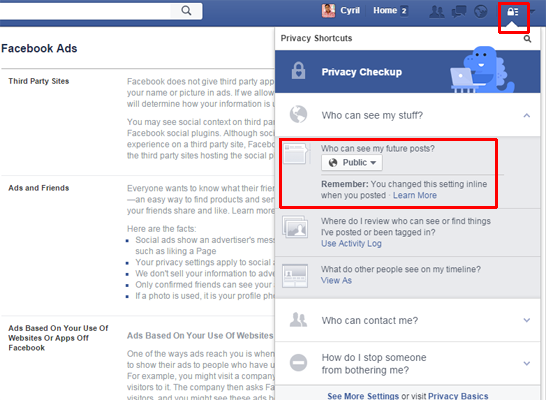 So it is very important to manage your Facebook privacy setting yourself than accepting Facebook default settings. 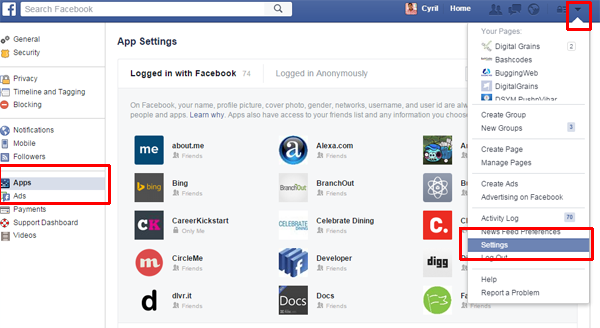 To tighten up the privacy settings, Facebook has developed a Privacy checkup tool which is placed on the top right corner of Facebook with a lock symbol. This tool can help you to change the default values. Post: You can customize the visibility of your post, photos and check-in your posts on Facebook. This customization can be done by selecting option of your choice you wish your post to reach to Public(viewed to everyone), Friends(viewed only to friends) and can even customize more to only few friends or groups. But if you select the Public viewing option that would be your default setting for the next time you post, and you need to change the setting for the next post. Related Post: How To Permanently Block Candy Crush Notification On Facebook? Apps: There are a lot of games and other applications which go viral on your Facebook profile without your permission because you might not have checked your privacy settings. These apps ask for your permission to use this applications but you need to change the visibility of the app to “Only me” otherwise it will show up publicly. Apart from that you should also remove the apps which is not needed. Apps have permission to access and post updates on your Facebook profile, so it is better to remove it than app posting an auto update. Your profile information: With the help of Facebook, other users can contact you with your mobile number, email ID and other details. This is now up to you to keep this public or personal. For example, if you keep your phone number public than anyone can contact you. So it is very important to keep the contact details private even if it is email ID, as others may send spam mails regularly. Tagging and Timeline settings: You may have noticed many times, you are tagged in many photos without your permission and it is visible by all your friends. This setting can help you to approve the posts and images which is shared by your friends on your timeline. This helps a lot when friends tag you with other friends and you have no idea why have you been tagged on the image. Blocking: In this section, you can block users, application and event invites. If you add the details, Facebook will block these IDs and make sure you don’t get updates from these IDs. Notifications: In settings, you will also find a Notification option where you can select the way you want to see the notifications. 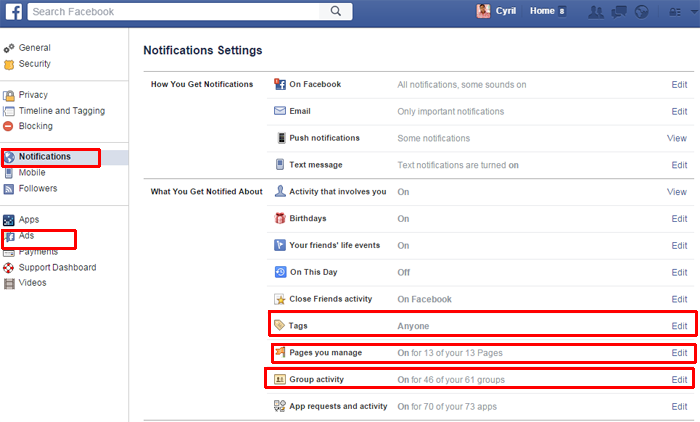 This includes notification from posts, group, app request activity, birthdays and pages(if you have created any pages). You can disable notifications or customize notification so that you receive notification by selected users only. Ads: Under settings, you can also manage Facebook ads which annoys often by showing Facebook page for which you are least interested. Mostly, these ads are shown to you on the basis of cookies which are saved in your computer while surfing internet. These cookies are then used to know the your searches on internet and based on that, you will be shown ads and recommended pages. If you can change your ad preferences according to your wish you won’t be recommended with lot of pages and other ads. If you like this blog, please follow me on Twitter @buggingweb, like the Facebook page and add us in your Google Profile. « What is Amazon Web Services (AWS)?